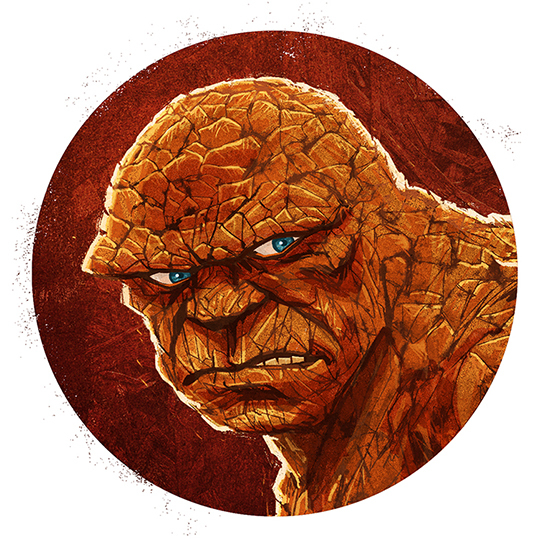 I created this portrait of The Fantastic Four’s Thing as an exercise in creating artwork exclusively in Photoshop. Kyle Webster’s custom Photoshop brushes are indispensable. I hope to create more portraits of comic characters soon! Read more about… Clobbering Time!